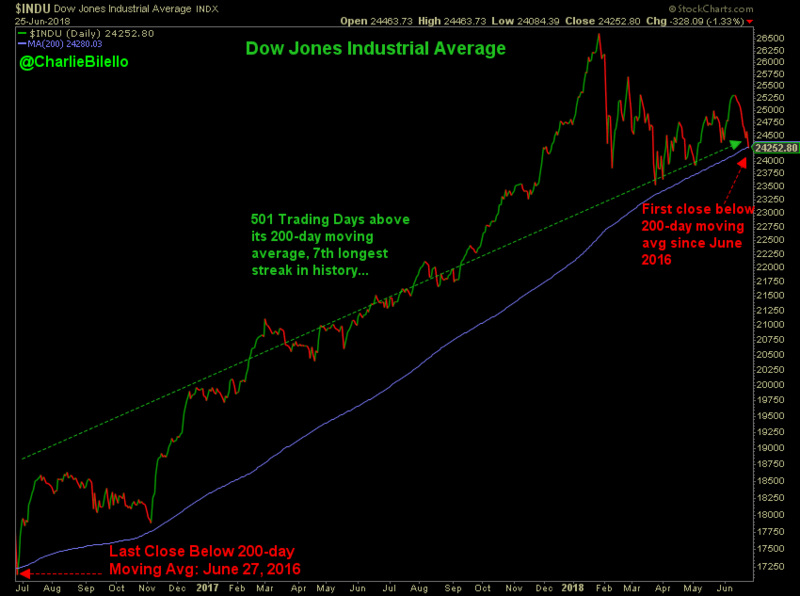 The Dow closed below its 200-day moving average this week for the first time in two years. That ended the longest streak above the 200-day moving average since 1987. 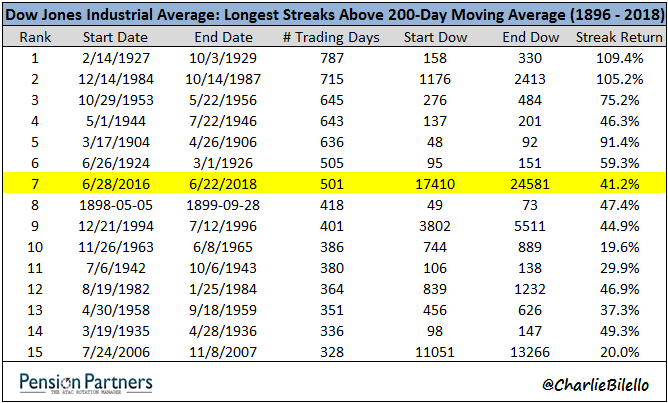 At 501 trading days, it was the seventh longest run in history. Data Source for all charts/tables herein: Bloomberg, YCharts, Stockcharts.com. Note: all data in this post is price data, not total return. This week in the sentiment snapshot I take a look at volatility. For context, in the sentiment snapshot series I look at some of the charts from the weekly survey on Twitter, which asks respondents to indicate whether they are bullish or bearish for primarily technical or fundamental rationale. On that note, the overall net-bullish sentiment has now made almost a full recovery so it leads us into a question of whether this is well-placed optimism… which leads into a series of charts on the VIX and volatility. -Net bullish sentiment recovered to the strongest point since the correction began, with fundamentals sentiment reaching a new high. -Sentiment has diverged from the VIX to the bullish side. -Volatility is likely to stay higher from here, but with a positive fundamentals backdrop it may well be the more virtuous form of volatility. When Will Volatility Finally Spread? 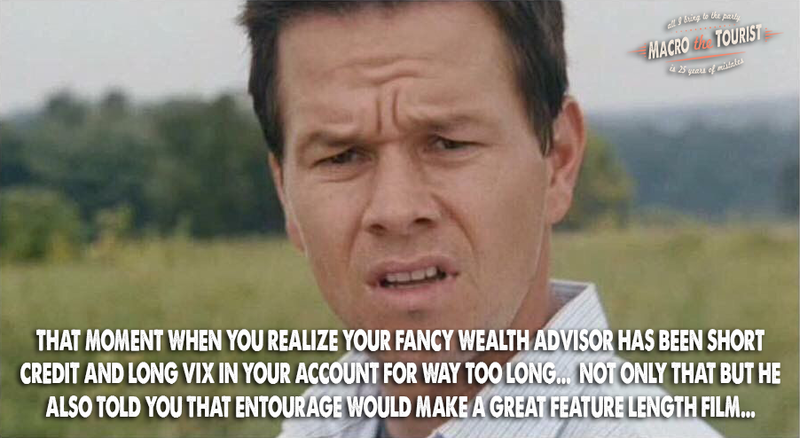 Everyone loves to talk about VIX. I guess it’s because VIX is relatively easy to trade, and even more importantly, during the 2008 Great Financial Crisis, long positions were monstrous winners. Hedge fund managers made their careers with that move. It was an amazing opportunity to make money. 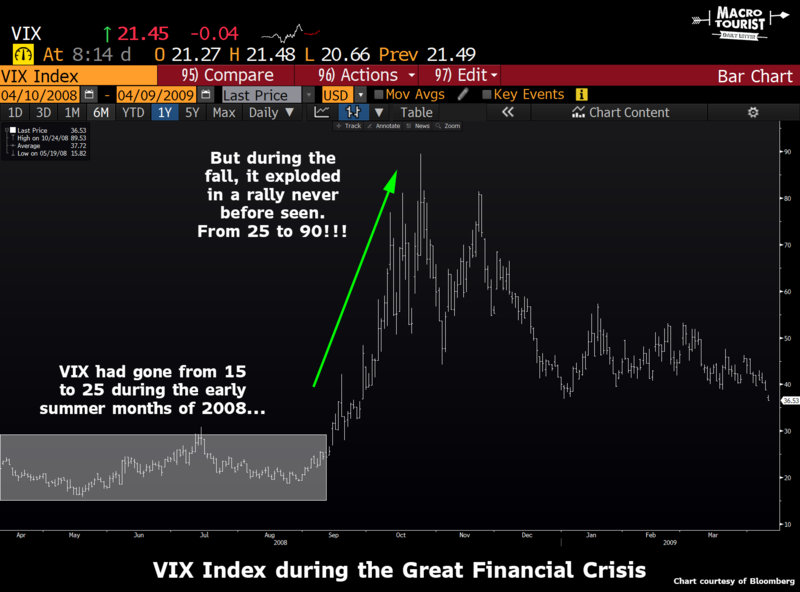 During the summer of 2008, the VIX was flopping around between 15 and 25. But then September hit. In an unprecedented development, the VIX rallied from 25 to 90 in less than three months. This was supposed to never happen. The index was implying a level of volatility for stocks that had never been seen in the history of financial markets. Continue reading When Will Volatility Finally Spread? 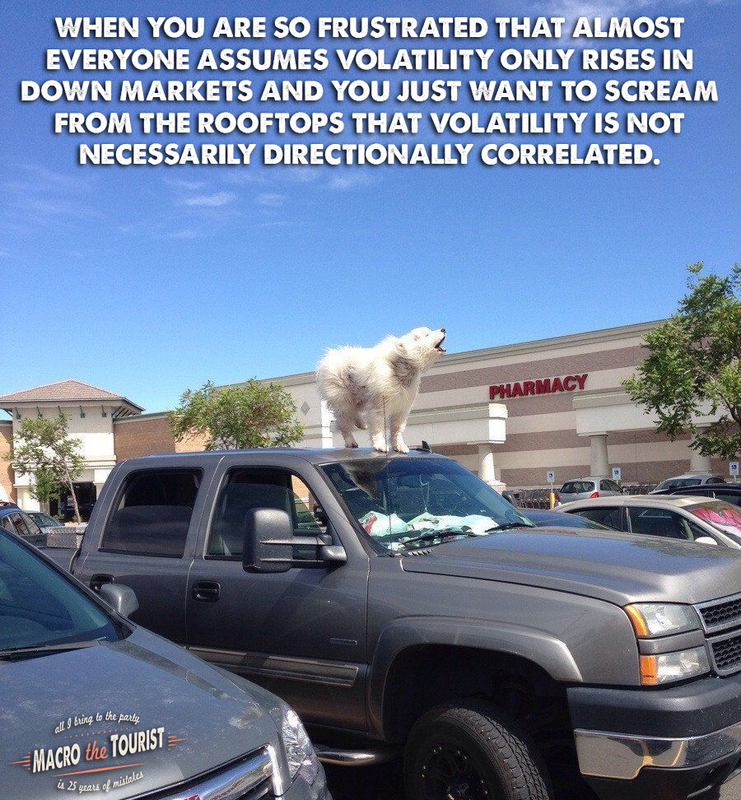 Too many market participants believe rising stock market volatility can only occur in down markets. It might be true that rising volatility is considerably more likely to occur in times of market stress, but it’s nowhere near as certain as most pundits believe. While there can be no denying that stock markets often take the escalator up and the elevator down, this generalization is far from a law of nature. Volatility is the measure of the variability of price returns. There is nothing written in the finance books saying that stocks cannot go up just as quickly as they go down. They’re back. I thought they had all given up, but like an old college buddy who’s going through a bad divorce and just needs a place to crash for a ‘few days,’ the corporate credit skeptics are a tough lot to shake. This crew is a left-over remnant of the 2008 Great Financial Crisis. 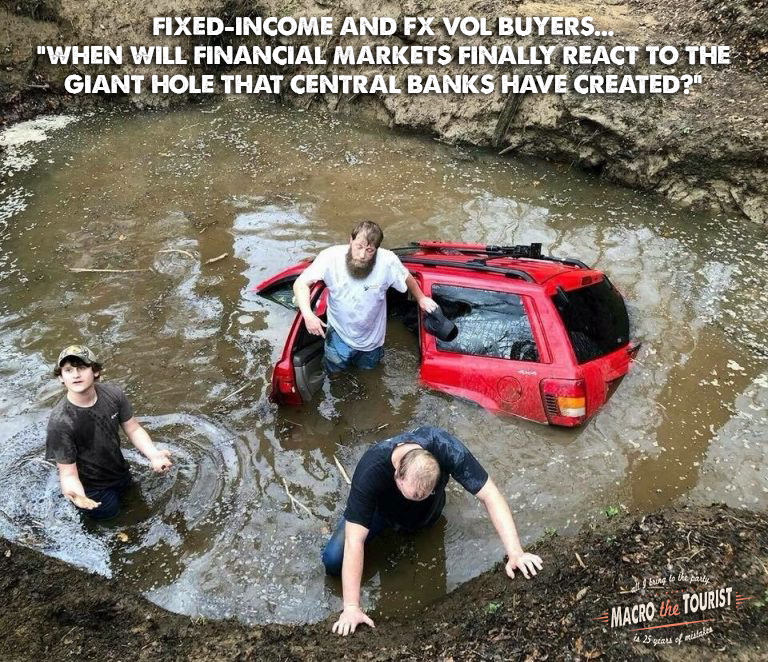 After watching the global financial system implode in a crisis that threatened to topple the entire world economy, there is a group of market participants who believe the next dislocation is right around the corner – only this time will be even worse given the increased debt levels. Although their views can be nuanced, usually they believe the market stresses from the last crisis will simply replay in a more dramatic fashion. In 2008 stocks fell, credit spreads exploded higher, VIX shot to the moon and sovereign long-dated bonds were the best asset to own by a long shot. Therefore at the hint of any trouble, they skedaddle to put on whichever part of this trade is most in fashion. Like a mirage in the desert sand, inflation is still missing in action (MIA). Core Personal Consumption Expenditures (PCE) growth YoY remains at 1.5% for January. The PCE deflator YoY remained the same at 1.7%. But the number of options betting on a rise in short-volatility ETF is surging. Yes, inflation is still a mirage (at least to The Fed). That should put a lid on further rate hike/unwinding activity. Or not!